Tonight we're hosting a night with some very special guest speakers from the music industry. The main topic's being discussed on this event will be related to promotion, social media, building a live fan-base, and useful live music hints and tips for bands. 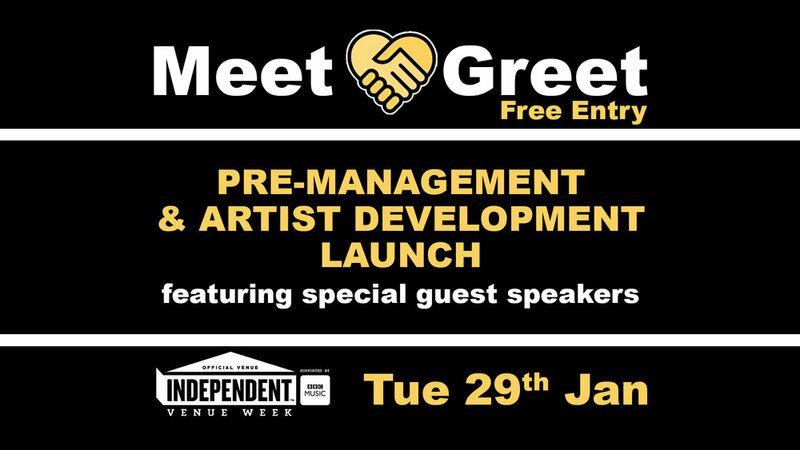 This event will also be the official launch of the pre-management/artist development programme. Full details will be provided on the night. Limited space available - reserve your space via the booking link - Ticket is free however a booking fee will apply.